My mother was a fanatic about writing in books she gave as gifts, something she taught my dad over the years. 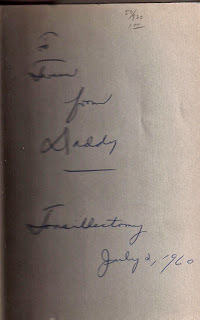 As you can see from this fairly poor (I apologize for the quality) photo, my mom wrote a note to me (signing Dad's name) in a $1.00 book which has retained its value for more than 50 years. 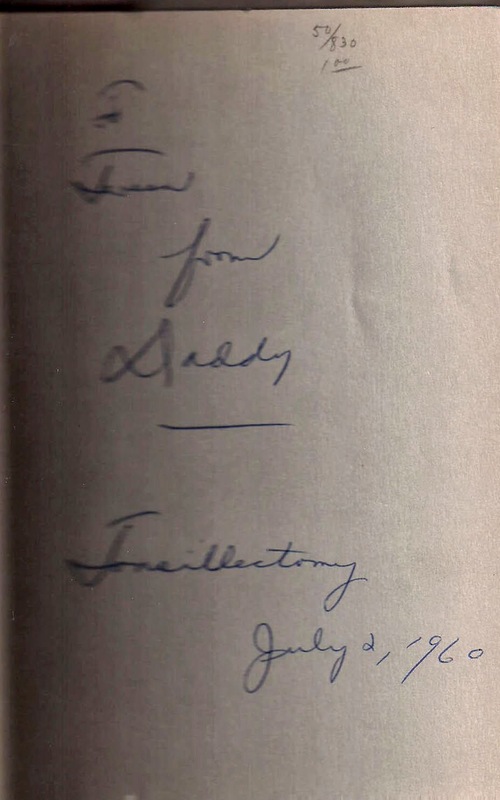 I have several books inscribed by my mom her and each is a treasure. I try to follow in her footsteps by writing in books I give as gifts, but I know I am not nearly as devoted to it as she was. I do remember the tonsillectomy very well, but with this inscription, I remember my mom and dad even more.